Have that special small business owner or entrepreneur on your holiday gift giving list? Want to treat yourself to some enjoyable, business-boosting reading during the holidays? 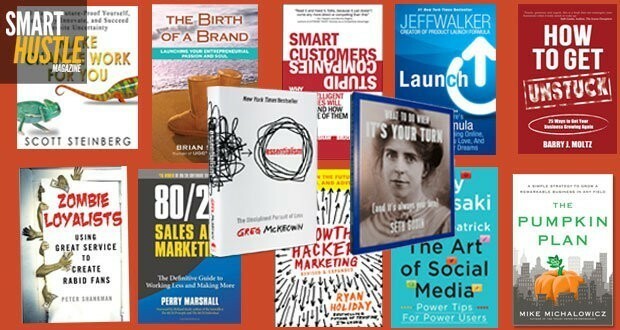 You've come to the right place, as we share with you an assortment of the best books available from some of our favorite business authors. Looking for a Great #HolidayGift? Check Out These 12 Must-Read #BusinessBooks! Having bootstrapped his initial online business, author Jeff Walker was inspired to figure out how to create a repeatable process out of his approach to launch and promote online businesses. 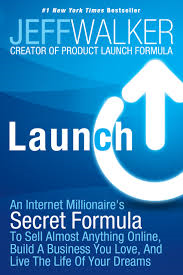 He used this approach not only to launch several other highly successful companies of his own, but also to teach others how to launch theirs. The results were downright impressive and Launch chronicles that process. This book is aimed at those thinking about starting an online business or those that have done so and need a boost to take it to the next level. Launch is part narrative, part FAQ and part case studies with a healthy dose of guided examples and suggested introspection before even embarking on the journey. With special emphasis on successful list building, email marketing efficacy and appropriate customer attraction (and conversion), Launch offers something for novices and seasoned veterans alike. Those familiar with Michalowicz’s two other books, The Toilet Paper Entrepreneur and Profit First, will already appreciate his easy-to-read, conversational style that is as likely to have you chuckling with delight as it is to impart practical wisdom regarding how to smart hustle your way to small business success. 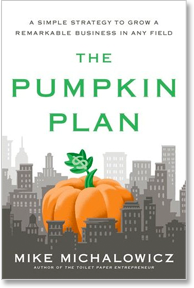 The Pumpkin Plan, published in 2012, is appropriately subtitled “A Simple Strategy to Grow a Remarkable Business in Any Field.” Weaving the success story of the world’s most valuable pumpkin grower throughout, Michalowicz shares a mix of his own achievements with success stories, both actual and hypothetical, to illustrate how to grow a lucrative, rewarding and scalable business. At its core, The Pumpkin Plan is a guide on moving from self-employment to budding entrepreneur without losing one’s sanity. Not afraid to suggest firing less-than-ideal clients, truly becoming expert in a narrowly-focused field and playing only to one’s strengths, The Pumpkin Plan is an enjoyable and insightful read for anyone whose small business is more New Jersey diner than Michelin Star rated restaurant (and wants to change that). 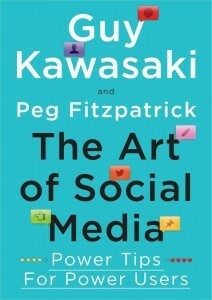 A very quick read, this is the latest book by former Apple evangelist and social media pioneer Guy Kawasaki, with support from digital media strategist Peg Fitzpatrick. It wastes little time before it dives into the roughly 125 nuggets of practical advice to maximize time spent on social media. The Art of Social Media starts simply enough, so that not a lot of initial expertise with social media is required. It doesn't linger there long, however, advancing to offer quick-hit tips, good online citizenship advice and smart hacks that will inspire and bolster the efforts of even experienced social media mavens. With a subtitle of “The Disciplined Pursuit of Less,” Greg McKeown’s best-selling book employs a Buddhist-like approach in examining an all too common problem: being unnecessarily busy, underproductive, overworked, unhappy, stressed and even unhealthy due to an over-focus on the trivial many rather than honing in on the vital few. Essentialism educates the reader on how to tell the difference, guides one to reducing or eliminating the former and ultimately teaches powerful techniques so that focusing on the essential becomes second nature. 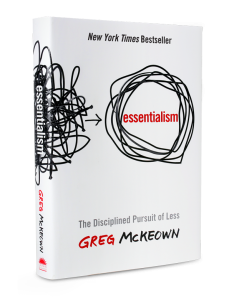 Essentialism is a must-read and a great gift for anyone perpetually busy or overworked and without consistent clear positive outcomes in return for those exhausting efforts. 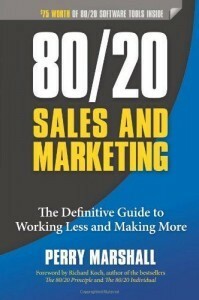 Published last year, 80/20 Sales and Marketing is one of the best modern-day primers of applying the Pareto Principle to nearly any situation, but particularly to maximizing customer attraction, promotional and sales efforts. An excellent book for anyone that wants to improve their digital sales and marketing efficacy, it is also packed with enough charts, graphs and number crunching to particularly delight those curious about the science behind persuasion and successful sales. This book is all about the ultimate smart hustle, learning to identify and focus on the twenty percent of clients, activities, products, services and marketing that will yield eighty percent of the results that matter most. The Birth of a Brand narrates the entrepreneurial adventure of Brian Smith from expatriate Australian twenty-something surfer in California to founder and former CEO of UGG Australia. 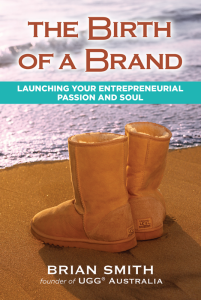 It follows the journey as he began selling six pair of hand-made sheepskin boots from the back of his van up and down the California coast to ultimately leading the now billion-dollar UGG brand. From lessons on tenacity and kind reciprocity, battling knock-offs, rethinking product-market fit, pivoting with opportunities, landing celebrity endorsements and executing PR stunts, to losing his hard-built company only to regain it later, The Birth of a Brand offers a fascinating narrative. It is part biography, part heartfelt inspiration, with a solid dose of from-the-trenches practical small business advice from a truly smart hustling entrepreneur that’s actually been there and successfully done it. Eighty percent of companies think they offer great customer service; unfortunately, their customers think only eight percent of companies actually do. 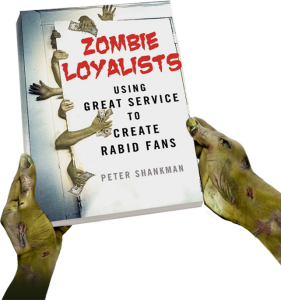 In his newest book, Zombie Loyalists, customer-service and brand-loyalty expert Peter Shankman examines this gap in perception and the overall impact of delighted and unhappy customers on a company. The metaphor of a fervent zombie army with an all-consuming focus on what they desire most woven throughout, Shankman uses real world situations (and plenty of zombie horde examples) to showcase how companies small and large can create a rabid army of loyal followers through amazing customer service - or self-destruct if failing to do so. With word of mouth and great customer service as the most powerful and affordable customer acquisition tool, Zombie Loyalists is a must read for anyone that seeks to convert customers to fanatic brand enthusiasts. This newest book from Seth Godin - one of the brightest writers and speakers on business, disruption, marketing and customer delight - looks and feels more like an innovative, high-quality full-color magazine than a traditional book. Its core purpose, to paraphrase the author, is to empower and affect change within oneself and in the world. Godin examines a number of historical (and pop culture) heroes that became extraordinary by being agents for fundamental change, often at great risk and cost to themselves. What to Do When It’s your Turn is a beautiful work of art that challenges us to not only succeed in business, but to also serve as agents of change for the better. 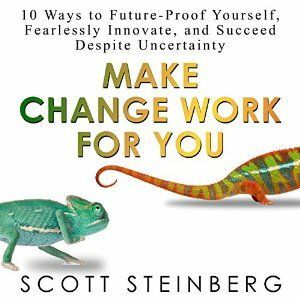 With the central theme of facing rather than avoiding that which scares us, noted speaker, author and serial-entrepreneur Scott Steinberg shares his newest book, Make Change Work for You. A modern-day compliment to the classic Who Moved My Cheese, Steinberg explores fear in business - fear of failure, rejection, embarrassment, uncertainty and confrontation - and how it holds us back. Steinberg then uses real-world examples and practical advice to encourage us to embrace change, taking calculated risks to innovate and disrupt, future-proofing our companies and our careers in the process. Smart Hustle Magazine community mentor, speaker, author and noted LinkedIn influencer Bruce Kasanoff first caught my attention with his excellent How to Self-Promote Without Being a Jerk. 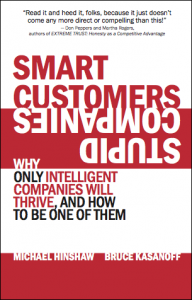 In Smart Customers, Stupid Companies, Kasanoff and co-author Michael Hinshaw take us on a tour of the highway littered with the remains of companies that took their customers for granted, failed to innovate and were the instruments of their own demise. They analyzes four major aspects that have fundamentally changed how companies and customers relate and communicate in present day, illustrating their disruptive impact on sales, marketing and customer service as we know it. Smart Customers, Stupid Companies complements this with an array of pragmatic tips and suggestions on how to avoid the same pitfalls and how to position one’s company for continued customer loyalty and business success. From the best-selling author of Trust Me, I’m Lying and former award-winning director of marketing for American Apparel comes Growth Hacker Marketing, A Primer on the Future of PR, Marketing and Advertising. Sharing his own experiences in non-traditional book publishing and the success stories of innovative companies like Facebook, Uber, Dropbox and many others, Holiday examines growth hacking, a phenomenon that combines creativity, technology and disruptive ideas - often without spending a dime on traditional marketing on PR - to yield amazing results in brand awareness and customer acquisition. 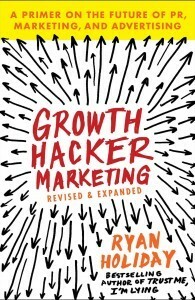 A quick read (or listen) packed with many practical examples and ideas, Growth Hacker Marketing is a great primer on how to level the playing field and cost-effectively market products or services in 2015 and beyond. 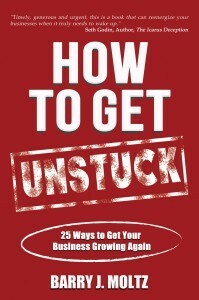 How to Get Unstuck focuses on the top reasons why small business owners get stuck and their companies fail to thrive. From addressing a lack of business focus, loss of enjoyment of a once pleasurable small business, fear of selling, to unease about attracting additional customers or the wrong customers, Moltz methodically works through twenty-five of the most common small business struggles. First encouraging business owners by establishing how commonplace these challenges are among entrepreneurs, Moltz then helps tackle the obstacles head-on with ample pragmatic advice. How to Get Unstuck is a practical guide on how to re-energize one’s business, advancing from just getting by to achieving radical business success. Are there any great business books we missed? What business book are you most looking forward to reading this holiday season? What great book did you recently discover or give as a great business gift? Please let us know in your comments.